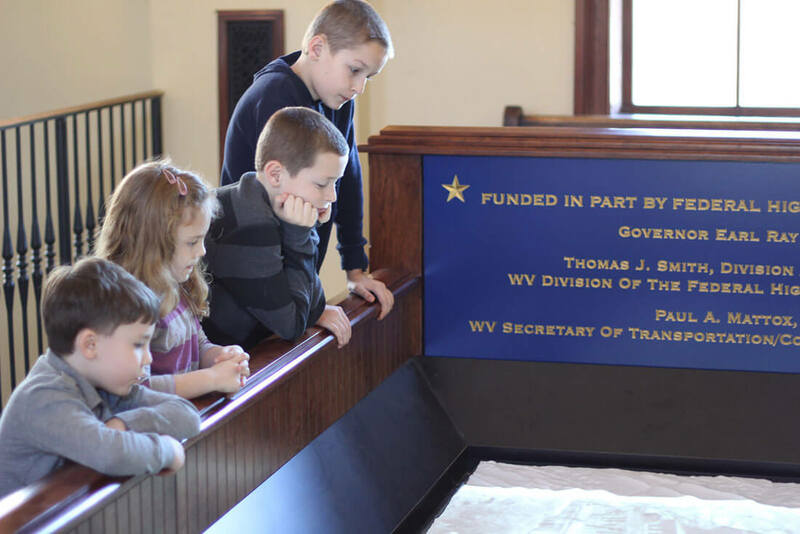 As you enter the Train Station's main lobby, you will come to the Information Station where you will be given your passport to the Museum and begin your exploration of more than 300 years of change along the Washington Heritage Trail. The Museum's Book and Gift Shop filled with lots of fun, unique and educational items to purchase to remember your visit! From the highest point in the museum, the Pedestrian Bridge lets you explore the railroad and gives you great views of Martinsburg's many historic buildings still in place around the railroad tracks. Use the manifest lists to load and unload the interchangeable freight and accessories as well as the passenger rail cars. It's especially fun when a real train comes down the track and you can watch it from the windows! 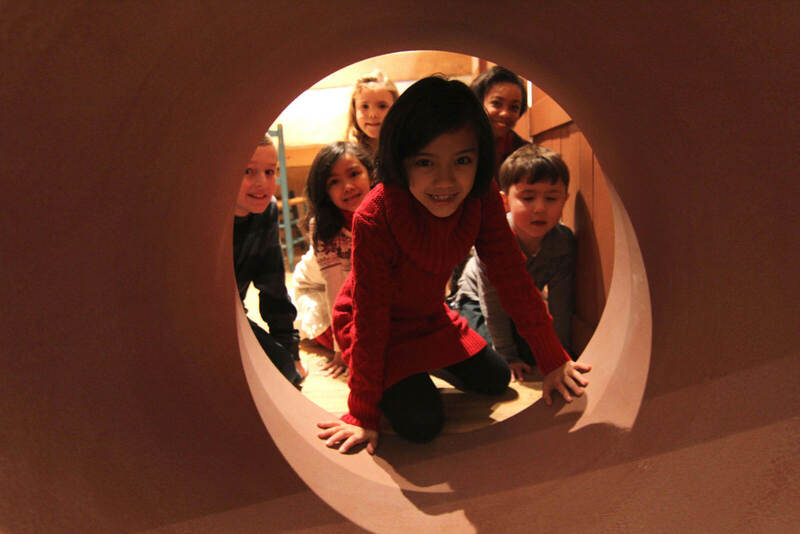 Trackside, you can travel through history in our immersion galleries, known as the "Tunnels Through Time." 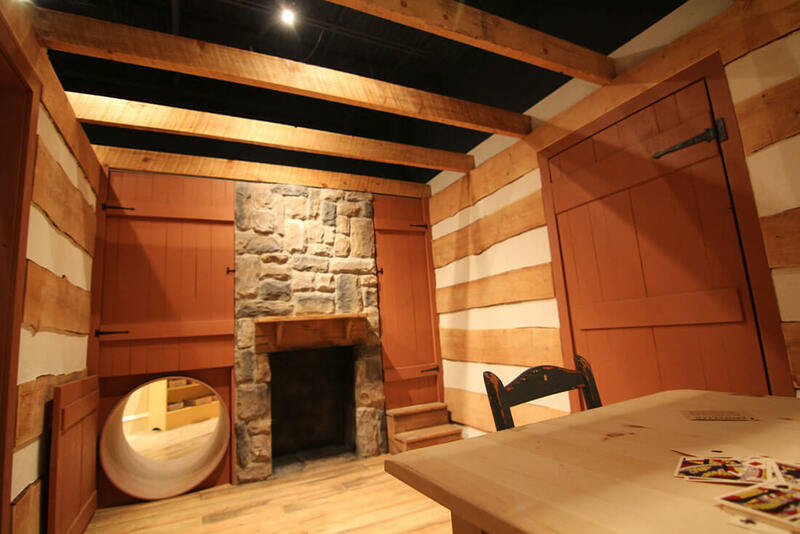 Starting in the 1600s Native American village, you will emerge into a furnished log cabin of the 1700's and then travel to an 1800s general store. The final stop is the Pedal-a-Watt gallery theatre, where you'll take a virtual 3D bike tour of the Washington Heritage Trail - get ready for a wild ride! The Grand Idea exhibit takes you into the oldest part of the building, the Old Berkeley Hotel and the original train station waiting area. This room has been transformed into the "Working on the Railroad" exhibit, sponsored by the North American Railway Foundation. Discover career paths and trades that employed local residents - some of these jobs still exist today! The old ticket counter area has been overrun by Legos® … wait until you see what local children have created!